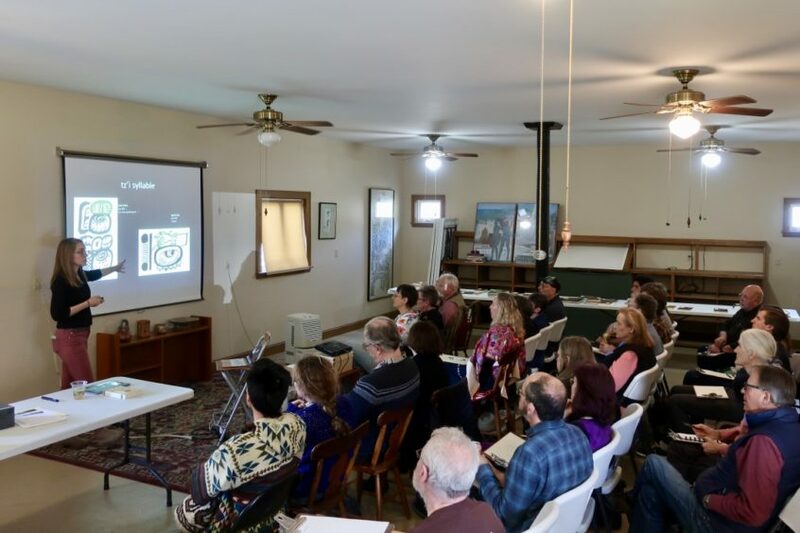 This past Saturday, over 40 members of the Asheville community visited the Boundary End Center for an introductory workshop on the “Archaeology and Writing System of the Ancient Maya”. The workshop was a success, and we had the pleasure to work with a wide spectrum of people, from a local school kid, to neighboring lifelong learners, and faculty members of UNC-Asheville and Warren Wilson College. 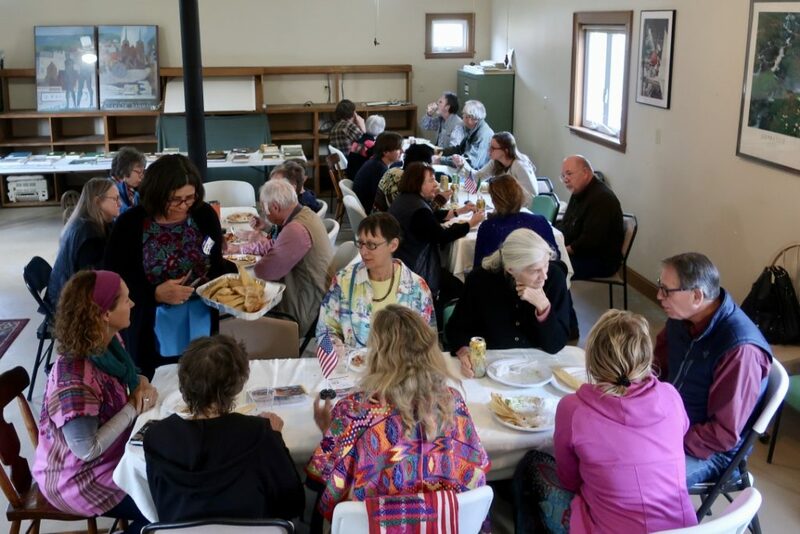 The workshop was co-organized in partnership with Asheville Sister Cities (San Cristobal de las Casas) and was effectively a fundraiser for both Nonprofits. A delicious dinner accompanied by local beer donated by Wicked Weed Brewery was served to the participants. In addition, the library was toured by most participants, who are now aware of our great bibliographic resources. This workshop allowed us to use the “Annex”, our teaching facility, for educational purposes for a first time in a long time. This allows us to continue the public education mission which was so dear to George Stuart. 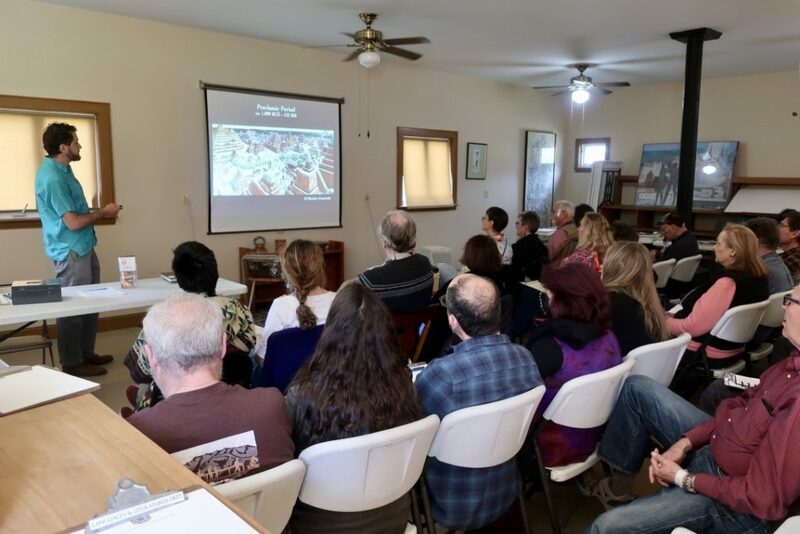 We are hopeful that more such events will take place at BEC in the near future, starting with our workshop on the Hieroglyphic Inscriptions of Cobá, which will be led by David Stuart from April 22-24.